The Canon PowerShot G16 is a super-fast compact camera which features a potent combination of high-speed AF, sustained continuous 9.3 fps shooting, a bright f/1.8-2.8 5X zoom lens, an HS system with the latest DIGIC 6 processor and a 12.1 Megapixel CMOS sensor, plus smooth Full HD movie shooting at 60 fps. 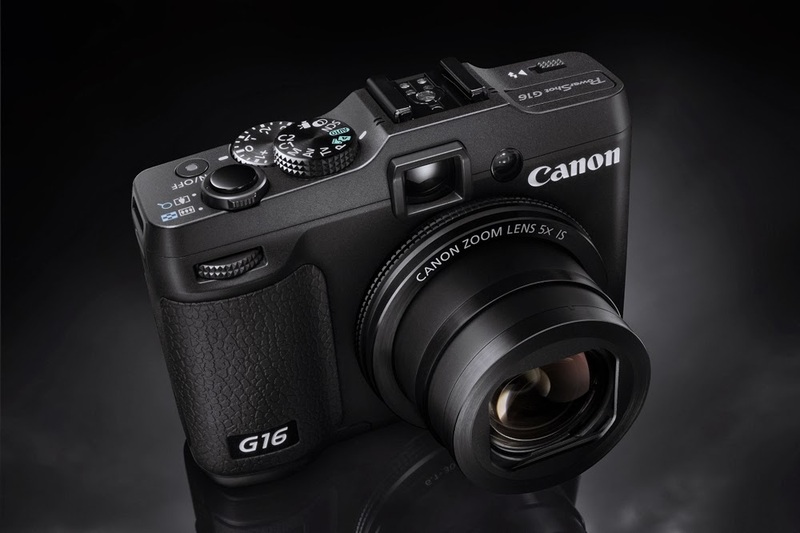 With full manual control over exposure settings, high speed AF, and the superb image quality that advanced photographers demand the impressively specified PowerShot G16 will appeal to professional photographers as well as to advanced amateur photographers who want control over their picture taking and movie making. This camera is all about speed – fast lens, fast AF, fast continuous shooting, fast image processing and fast sharing of images. The G16 is a fantastic choice for photographers who are looking to capture high-quality images in low-light without having to carry a large SLR system in their kitbags, or as a superb second camera to accompany a DSLR. Click here to view the detailed information on the Canon G16 on Canon's website. You can see some sample photos taken with the camera here.